Take advantage of these exclusive, member-only deals that will help you cut costs and save money immediately. Each of our ChamberPlus partners offers competitive rates and discounts on the products and services our members need most, and for every new contract obtained through the ChamberPlus program, a portion of the proceeds is returned to the Chamber. Check back often, as we are always adding new ChamberPlus partners and discounts. As a member, you are pre-approved for discounts normally for large companies. If you are an Office Depot customer, ask your rep to give you the Chicagoland Chamber discount. No credit check, no fees and no loopholes. Don't overpay for electric and gas. As a member, you are eligible for member-only electric and gas rates. No hidden fees, teaser rates or shenanigans. Why pay more for the same energy? This benefit will save on your current electric and gas pricing by comparing the providers in your zip code. Save on credit card fees. Tidal Commerce provides merchant services that work for your business regardless of size or type of business. If you are ready for personalized solutions and a provider that looks out for you and your bottom-line then Tidal Commerce can help. The savings are great too! Shipping savings on express mail and packages. No initial fees or minimum shipping requirements. Receive these discounts even if you already have a UPS account. Through the UPS® Savings Program, you can save up to 34%* when you ship with UPS. With UPS you can enjoy lower prices again and again! If you are an exporter in the Chicago area, you know the importance of processing certificates of origin (CO) in a timely and efficient manner. 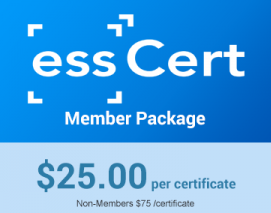 This just became easier (and less expensive) thanks to the Chamber’s digital certificate of origin service. The Chamber is busy unlocking extra HR and Health Benefits. Please contact Sara E. Barnett at (312) 494 6700 or sbarnett@chicagolandchamber.org for additional information. Copyright © 2018 Affinity Management All rights reserved.